What's your pick as top crafting items? Pick one thing you can't live without when crafting!? Well, one was hard but I could narrow it down to SIX :) I left a few ton of favorites off my list but I was going for what I use most. 1. Double sided tape - I should buy stock in it! 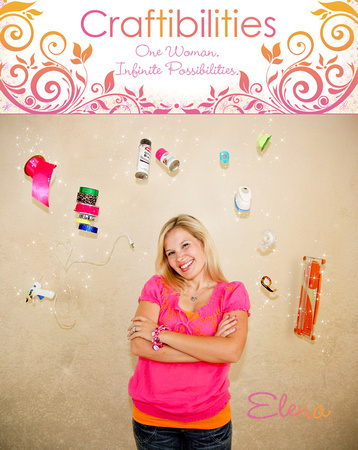 I use double sided tape all the time and on ton of crafts. I don't think I can use regular tape anymore. All those cute personalized tags I attach are all with double sided tape. 2. 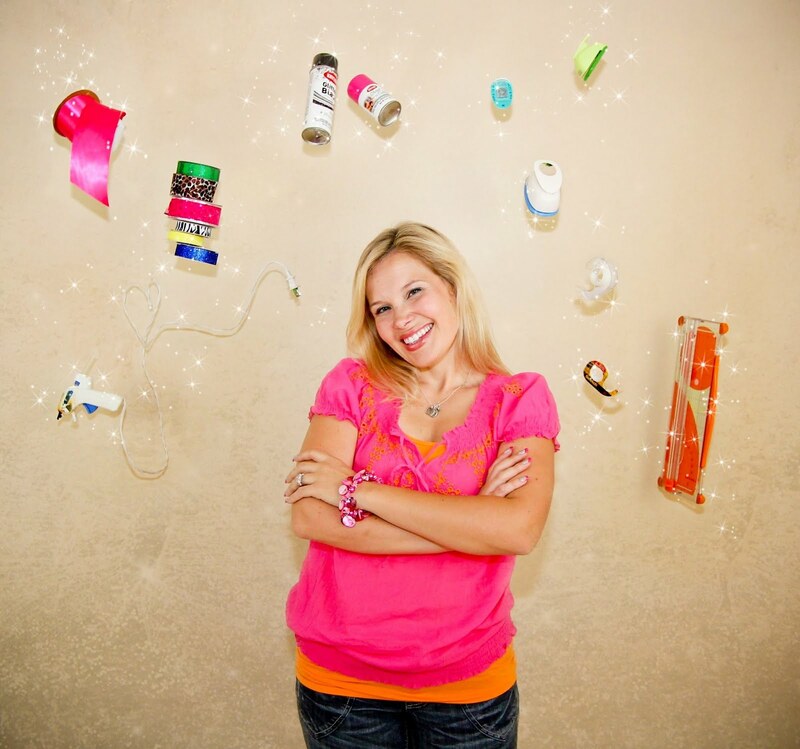 Glue gun - Whoooohoooo! My poor over used glue gun or as a friend said once, "It's well loved." After seeing how destroyed it looks, it's definitely well loved! If I'm not attaching with double sided tape, it's with a glue gun. Remember my glue gun ties??? Three ties made quick for a photo shoot and even holding them now you can't tell I used hot glue! 3. Spray paint - I know this one is kinda weird but I LOVE spray paint! I have almost every color and for something super quick and that dries fast....it's awesome!! Now that I've found Glitter Blast spray paint, glitter was not listed in my top crafting supplies. I used it on the guest book picture frame and it was so quick and easy! 4. Cutter - I have a small fiskar cutting board I use sooooo much. I even keep a supply of back-up blades. I'm pretty good with scissors but the cutter makes it look perfect!!!! Just how I like it! 5. Punches - big heart, small heart, big circle, medium circle, small circle, scalloped circle, big edge rounder, small edge rounder, big tag, small tag, square, borders and too many more to name. :) I think I have a bit of a problem. My favorite one right now is the Recollections 1 7/16 scalloped lever punch. I even have an ETSY shop that I design and pre-cut personalized tags. 6. Ribbon - I'm sure this is a big one with crafters. I finish almost every project with ribbon (if I can.) Remember my ribbon topiary??? Also, my hanging color coordinated ribbon and wrapping paper organizer helps keep everything together and I know when I'm low on a color. Now my outtakes for my top crafting supplies picture. Amazing what a little editing can do. Multi-tasking Mama with so many fun ideas. I love photography, baking, crafting, and basically anything creative. 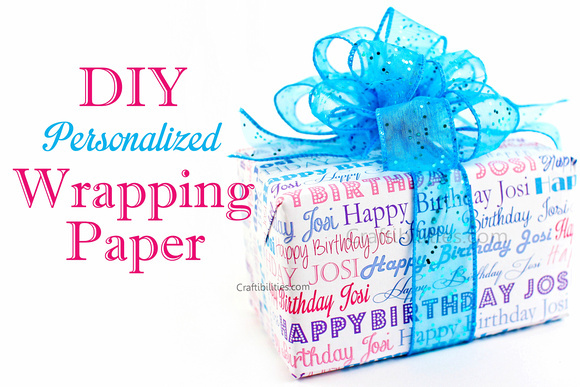 DIY Personalized BIRTHDAY wrapping paper! Gift, Present - Extra special touch!